Smadav is Antivirus from Indonesia that designed for keep your computer from local viruses attacks. Because it comes from Indonesia and know many local viruses in Indonesia, make Smadav Antivirus to be one of the favorite antivirus in this country. Smadav Antivirus is Compatible with Other antivirus such as Avast Free Antivirus , Avira Free antivirus, Avg Free antivirus, etc. It can work together to keep your computer securely. 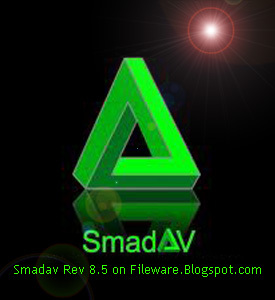 After SmadAV released version 9.9, now Smadav release the latest version SmadAV 10. This version seems like to be the first update in 2015 . What's new in Smadav 10? Automatic update fixes SmadAV Pro "Installation Not Found", addition of 332 a new viruses database , addition of virus detection shortcut on USB, Completion SmadAV Pro is not original blacklist method. 0 Response to "Smadav Antivirus 10"